Where can I get the pmothair effect? How can I make my MMD model’s hair look more realistic? 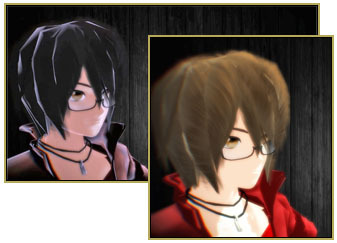 How can I make softer looking hair in MikuMikuDance? How do I use the pmothair effect? Makes Hair Actually Look like hair! Okay so you ever wanted your model to actually have realistic feeling hair? Well now you can… by using the pmothair effect… an effect which if used properly can give an interesting hair-like effect as seen here. Have fun trying out different settings in the AMP window. It comes up with an error message whenever i try to load it.